Zurn valves ... delivering lowest cost of ownership and life-cycle cost. US-headquartered Zurn Engineered Water Solutions offers the largest range of engineered water solutions, including a wide spectrum of sustainable plumbing products, says the Saudi-based Universal Building Materials Merchants Company (UBM), which represents Zurn in the kingdom. For more than a century, Zurn has established itself as an innovator and leading manufacturer of highly engineered water product solutions and is a recognised leader in the commercial, municipal, healthcare, and industrial markets. Zurn’s extensive range of products includes backflow products, pressure-reducing valves and linear drainage systems. 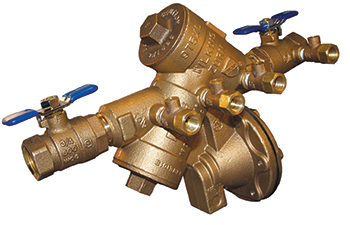 Zurn backflow products are offered a variety of configurations to meet requirements. Zurn pressure-reducing valves provide innovative solutions to specific water system requirements. The company offers the best valve features available, delivering the lowest cost of ownership and lifecycle cost, the best industry lead time, and a comprehensive set of approvals/listings, he claims. 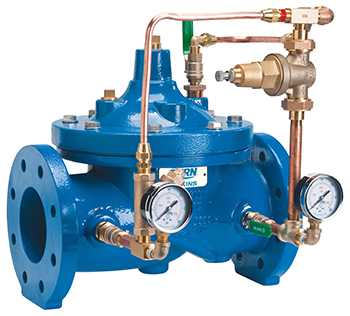 With standard features such as isolation valves, gauges, wye strainers, and epoxy coating, the Zurn 200 series allows for easier and faster commissioning and maintenance. Meanwhile, Zurn linear drainage systems remove water and chemicals in a safe, controlled manner. “Larger trench drain systems used for public transportation areas can move more than 26,000 gallons per minute, eliminating dangerous water pooling,” says the UBM spokesman. Its pre-engineered, modular trench systems are designed for ease of installation, load-bearing strength, hydraulics, chemical resistance, and structural integrity. These labour-saving installations require minimal maintenance and offer low TCO. 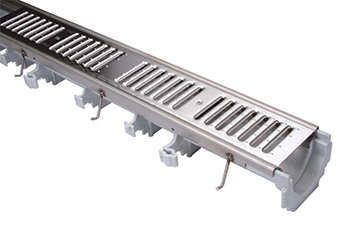 Zurn linear drainage systems remove water and chemicals in a safe, controlled manner. “We aspire to provide the safest and most efficient water solutions to protect human health and the environment. At Zurn, we are committed to providing smart solutions that save time and money. Our goal is serving the customer through innovation, continuous improvement, and assurance behind every installation,” an official for Zurn says. Zurn in the Middle East has a full operational set-up in Jebel Ali, UAE, with a service centre and customer service. “We are excited to be at the forefront in providing innovative and practical products focused on water conservation, control, safety, hygiene and water comfort,” says the spokesman. An award-winning company, UBM is a leading player in Saudi Arabia’s building materials segment. It delivers the best products from around the globe to the kingdom’s construction market. Founded in 1979, the company has branches throughout Saudi Arabia with its head office in Riyadh, and regional offices in Al Khobar and Jubail, in the Eastern Province; and Jeddah in the Western Province. The company has a countrywide sales network through which it distributes world-class products from well-known brands like Zurn, Wilkins, Assa Abloy, Nibco, Hunter Douglas, Wilson Taylor, Bailey, SHW, Mandelli, Rocky Mountain, Baldwin, Raven, and Spark.